What And When Should You Eat Before Working Out? For a long time I sought the answer to this because I knew how important pre workout nutrition was- unless you wanted to underperform and start breaking down muscle which is definitely something I’ve always wanted to avoid. I spent countless hours, money and meals trying to figure out what and when to eat before I worked out. It was a perpetually mediocre endeavor as I was never able to find something that fit just right, only things that worked decently at best. Thankfully, like most things in health, letting go of my previous biases has been extremely helpful in sorting out some things that never quite made sense. The last few years has enabled me to think about, experiment and reevaluate my approach to eating before working out and given me a new freedom and outlook on the subject. **Let me start this by saying I don’t know the answer to this question. I don’t think anyone does no matter what they say. If someone claims they have actually figured it out it’s only for a small percentage of people (i.e. some sort of athlete) and it doesn’t mean it applies to all athletes and certainly not the general public. All I want to do here is ask a few questions and encourage people to rethink the conventional wisdom. Bruce Lee was known to favor peanut butter and banana sandwiches. Usain Bolt and Peyton Manning go for a variety of Gatorade products (at least according to the commercials). Bodybuilding swears by shakes and supplements. Others love oatmeal while some love coffee. What’s the best? What’s the goal of the workout? What’s the general goal of the program/life? How long before should you consider it “pre workout”? How do you know when/if you found the right pre workout meal? Do you even know if what you eat gets digested in time to matter? Does working out hinder your ability to digest the food and get anything out of it? Why is it that we think it’s necessary to eat before working out? Should you eat anything at all? Is it better to workout with food in your stomach or not? Do we really think that the human body isn’t capable of fueling/producing adequate energy if we don’t have a good pre workout meal? Does it make sense that we would break down muscle tissue to perform an activity that requires us to use muscle to complete? If your goal is to lose weight (burn stored fuel)- is it smart to put energy in your body for fuel instead of using stored fuel? If your goal is performance- is it smart to be digesting something while you’re working out? From a physiological standpoint- Does it even make sense to eat (a parasympathetic bodily process) right before working out (a sympathetic process)? Could there be a benefit to working out on an empty stomach? If you “can’t” workout without eating first, is that indicative of a problem? Should we be working out so hard that it’s detrimental to not eat something before? Did We Have It Figured Out Before? These questions are simply the beginning of a thought experiment that I’m certainly not the first to undergo. In fact, many people would argue that not too long ago it was more common knowledge and standard practice to not eat too much before exercising and that the growth of food companies and advertising pushed this somewhat meaningless idea into a big deal. The concept of pre workout nutrition is very new and pretty ambiguous. What are we really talking about anyway? The last meal or snack before we exercise? A “special” extra fueling “timed perfectly” before exercise? Does it strike anyone else as being odd that this is even an issue? We are worrying about the fringe details over a little meal before we purposefully expend unnecessary energy? 1. We are way overthinking this and should pretty much forget about the concept of pre workout meals. 2. If it’s so important to have pre workout nutrition then we’ve moved into a realm where our workouts are unreasonable and overdone. Way back in college I would have an orange and an All Sport after baseball practice, which was 15-20 minutes before working out. I always seemed to feel good during the workout but this could have been simply due to being warmed up and energized from practice, being 19 years old, being new to working out and/or by complete chance. Nonetheless it sticks out as working well. Over the next 15 years, averaging 3-4 workouts a week pretty consistently, nothing really seemed to work just right. Things were ok or fine but I never found something that worked really well. In fact, not being able to figure this out was the most challenging aspect of my workouts for years. Either I ate not quite enough and was hungry halfway through exercising or ate too much too close to working out and felt heavy and sluggish. I tried real food, supplements, fake food, specially designed pre workout food, shakes, bars, bananas, bagels, peanut butter and more. Nothing really seemed to fit. Then one day a couple years ago, after coming across some articles, I decided to experiment with fasted training. In essence, working out on an empty stomach. Everything I had ever read or heard on per workout nutrition preached, no pleaded, for people (particularly athletes) to eat before they worked out. It was physiological suicide to work out fasted- I would compromise all my performance and muscular gains, risk low blood sugar and generally be wasting my time and workout. Strangely enough, the strategy resonated with me. If had a hard time managing pre workout nutrition, how about not even dealing with it? I tried it and was hooked. After a few workouts to ease into the change of energy supply, I started to thrive. Not only was my performance fine, I didn’t lose any muscle and most importantly, I didn’t have to worry about when and what to eat. I could just workout whenever I wanted and didn’t have to adjust meals, snacks or workout times because my timing wasn’t right. Just like finding out I didn’t have to eat every couple hours, I was now free of the chains of food. The more I went along working out fasted, the more I thought about the logic behind pre workout nutrition and the more I started to question it. Why was it so important to eat before a workout and why wouldn’t the human body be able to perform without an energy gel or protein bar timed just right? From what I had learned about the body it just didn’t seem right that we would be so fragile and incompetent. It also got me thinking about why people who were trying to lose weight would eat before working out. This didn’t make sense either. Since we don’t know much about working out throughout human evolution, we can only guess that there wasn’t many treadmill filled gyms on the savannah and exercise wasn’t a big part of human history. Similar to evolution, there’s not much on “working out” throughout traditional cultures and only anecdotal evidence about what warriors might eat before battles or hunting pursuits, the closest to exercising we might see. Not much data and no real consensus. Many cultures claim to have hunted on empty stomachs or only eaten at night but that’s not much to go on and there are other examples of people eating fruit or other things before battles, fights or pursuits. Modern hunter gatherers are similar to traditional cultures and don’t offer much transferrable information other than often they hunt without eating beforehand. I knew that the modern science/biochemistry filter would have a bunch to say but after delving into some research I quickly discovered there’s not a lot of substantial evidence. There’s plenty of research out there but it’s actually pretty inconclusive and weak when you look at what has been studied, how it’s been studied and if that has any meaning for most of us. There’s also a decent amount of research on fasting and fasted training that supports the idea of not eating before a workout. It’s certainly not substantial either but indicates that the claims being made by the pre workout proponents are not as accurate and convincing as once thought and advertised. So my filtering left me with the realization that there’s not a lot of rationale to worrying about pre workout nutrition and since it was working for me, there was no reason to stop my fasted training. I now usually workout having not eaten much before (except maybe some coffee or Kombucha) unless I’m working out late afternoon or evening (which doesn’t happen that often), which simply means that breakfast or lunch was my last meal before exercising and not a specific pre workout meal. After all this discussion, it’s probably obvious where I lean on this issue but we all have unique needs and goals so l don’t want to fall into the trap of thinking that what works for me is what works for most other people, much less everyone. I like the feeling of not having anything in my stomach when I workout and I like not having to worry about eating before, particularly the details of substance and timing. You may be different and like to eat something not too long before exercising. If so, then find what makes you feel good and feels natural. Don’t force yourself to down a energy bar 15 minutes before a training session just because you think you’re “supposed” to. 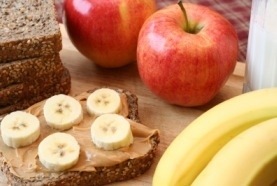 If you find that a peanut butter sandwich and hour and half before a workout works for you then go with it. If not, try something else until you find what works. 1. You don’t “have to” eat before you work out. The body is fully capable of working out without pre workout fuel and shouldn’t need food before a workout. *If you do “have to” eat because of blood sugar issues or some other limitation then your priority should be fixing your underlying health, not worrying about what and when to eat before your workout. 2. If your workouts are so intense as to demand energy beyond normal capabilities, possibly reevaluate the way you’re exercising. 3. I suggest everyone at least thinks about trying ditching the pre workout meal, especially If weight loss is a goal. 4. Changing your eating patterns (particularly before energy expenditure) will take some getting used to, especially if moving into fasted training and/or if your exercise routine is intense. Take your time and listen to your body. 5. Keep your options open and find what works best for you. There is no one perfect answer and your ideal strategy may change from day to day and over time. Be willing to adapt.